the most innovative, durable and high-quality available on the market. Singapore, Thailand, Vietnam and United State. Our customers come across industries from power plans, steel mills, petrochemical, machine builders, renewable energies and etc. With over 25 years’ experience in developing and manufacturing enclosures for industries and countries, we understand your needs, those knowledge and experience help both of us building the future together. 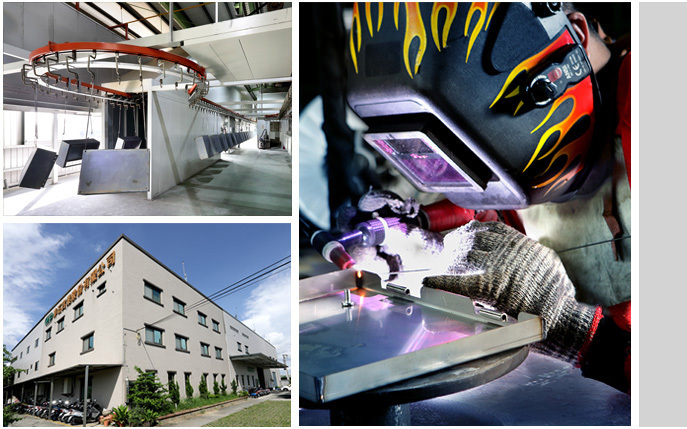 Located in Tainan City, Taiwan, our manufacturing facility uses state -of-the-art equipment, include laser, form-in-place gasket and powder coating technologies, to deliver products and services. Nonstone offer enclosures in variety material, steel, stainless steel, aluminum, galvanized steel and plastic, that serves your needs with solutions. At Nonstone, we understand the importance of quality products and are committed to meeting or exceeding the quality expectations of customers. To ensure quality policy, Nonstone has obtained the ISO 9001 quality certification since 2005.